Have you ever even imagined your life constrained to four walls ? A situation in which you cannot even movie in the daylight ? 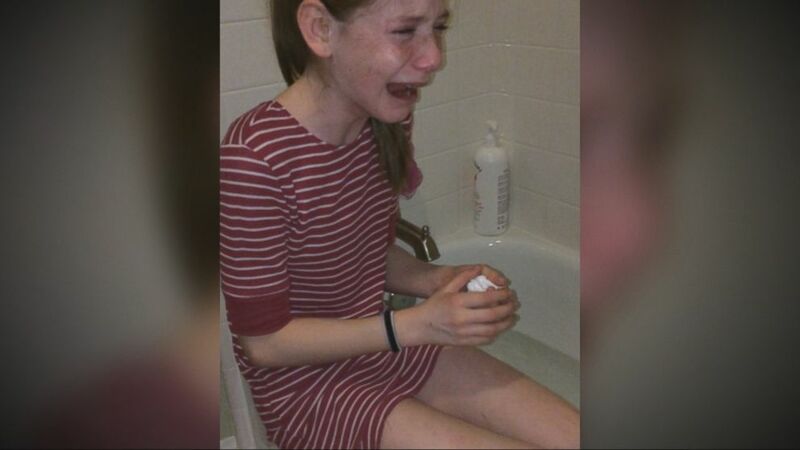 For you it might sound like the worst nightmare, but for this little 11 year old girl this is an everyday reality. This is the story of a brave little girl who is allergic to sunlight. Imagine life of this little kid deprived of all the joys and simple pleasures such as going to the pool or having a simple walk is just a dream. The situation became clear for her parents when a doctor diagnosed a very unlikely cause of the girl’s suffering.Imagine what the parents of the girl go through everyday. A video documentary coverage by ABC news shows the girl covered in blanket to escape the sunlight, crying relentlessly owing to her piteous condition. The girl describes the feeling of being exposed to sunlight as being burned from the “inside out”. Medical practitioners see this as nothing short of a medical science mystery. It is a mystery because it offers little or no explanation so as to why and how. And what is the worst part, is that there is no seemingly possible cure for this condition. The 11 year old girl named Savannah Fulkerson’s mother first noticed her suffering when she was 4 years old. The family lived in California which is fairly sunny throughout the year. 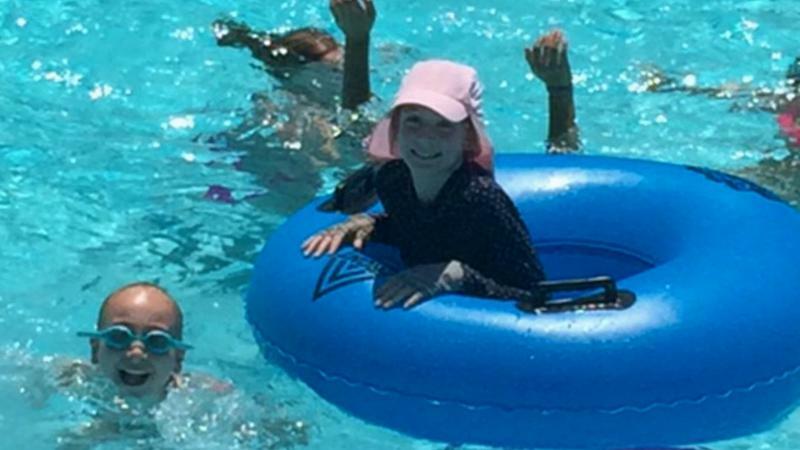 Her mother first noticed that Savannah would scream when taken outside or at the pool. She would cry out complaining facing burning, and that was a very severe suffering and not a minor one. The girl reported that it really itched a lot and would even turn her feet and hands red. She also added that she was often left with some scars when she used to itch her hands after being exposed to light. They even tried putting her hands in bag of ice or her feet in a cold bath tub, but nothing would help often leaving the 11 year old crying in despair. Initially the doctor diagnosed her of eczema ” a medical condition in which patched of skin become rough and inflamed with blister leading to itching or even bleeding”. But her mother believed that her daughter’s suffering was more serious than minor eczema as the painful condition was sort of incurable.The condition was diagnosed only 5 years after when Dr Menalu Lu diagnosed the kid of being allergic to sunlight. A rare condition named ” Erythropoietic Porphyria” a rare and potentially deadly disease. Fortunately for the girl it was nothing life threatening. But it had very scary consequences. This meant that the 11 year old girl had to spend the rest of her childhood and much of her life confined to four walls of her house. She often tells her friends that she can never go out and play like them, or accompany other people to beach like all normal kids do. But her condition does offer her a little relief, as in the late hours of evening she can still go and enjoy herself by the poolside at her backyard. But most of her days she has to spend without playing with her friends. And if she does go out in the bright sunlight she has to ensure that she os fully covered up in clothings such as a hat and gloves. She even gets picked by other kids getting compared to an old lady and more often referred to as umbrella head. What surprised the ABC reporter is that despite all her sufferings the little 11 year old girl radiated a very positive attitude about her life and those around it. As she often smiled and said that she knew people who had a condition “way worse” than her. Even her family seemed to have made peace with her condition, as they had installed a trampoline in their living room for their ever energetic daughter. And even when the sun goes down the girl enjoys social evening such as baseball matches and spends quality time with her family. Such people like Savannah and her mother only end up earning our respect and admiration for their attitude towards taking life life as it comes. For more interesting posts, keep visiting storiesofworld.com. Leave your thoughts in the comment section below and please do not forget to share. For our post on rare skin condition of skin falling off click here.